Prof. R. Ravi Kumar, Faculty Organizational Behaviour & HR Management at IIM Bangalore addressed the gathering. 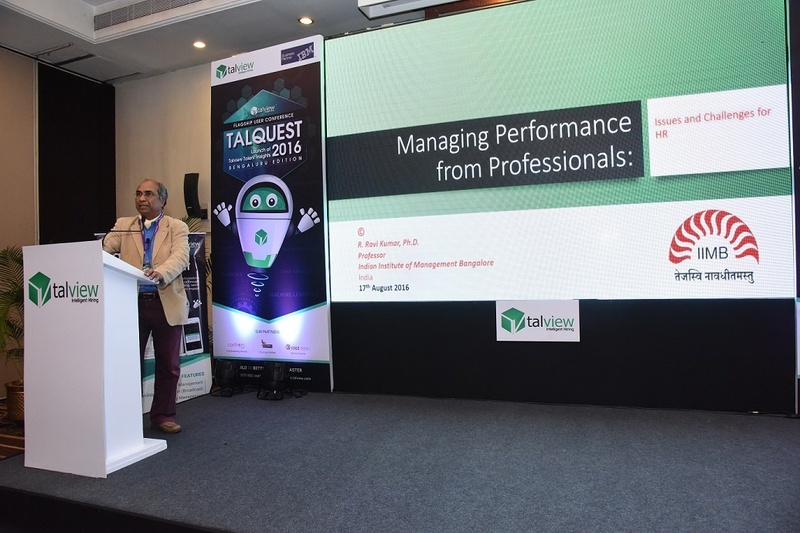 Sir presented his valuable insights on the topic – “Managing performance from professionals: Issues and challenges in HR". He elaborated on how to enhance employees’ performance and cited several factors, such as job content, competency, compatibility, conviction, composure, confidence, etc. With the help of audio-visual examples, he also concluded that behavioural fitment of a candidate shouldn't happen over obvious MCQ assessments; it's the subconscious responses that need to be checked to validate the candidate meets organisation's cultural DNA. You will not regret watching this video! Sir had the audience in splits with his subtle humour and wily sarcasm.